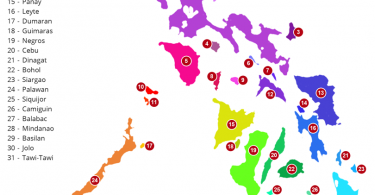 With more than 7,000 islands, the Philippines is definitely a treasure trove of marine life divers and non-divers alike will find interesting. From the most gentle to the venomous ones, there is surely something to look forward to when scouring the depths of the seas. For non-divers, or even non-swimmers, you may find crablets in the shore, or if you’re lucky, a blue-ringed octopus or banded pipefish having their time in the tide pools. 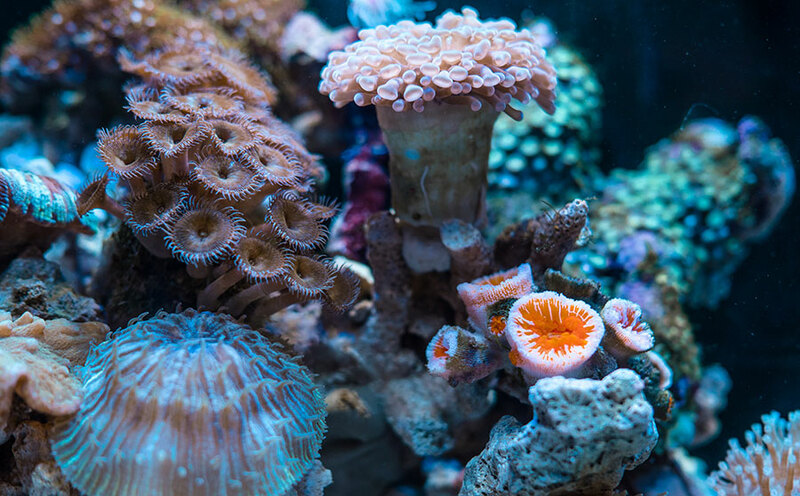 Of course the most adventurous ones will be treated to an array of beauty such as the warty frogfish, pygmy seahorse, decorator crab, and radiant corals. Not all seas house the same marine life. Each has something to show so you better prepare yourself for your great Philippine exploration to meet different marine life. Minimize the use of plastic. Go for sustainable seafood choices. Support groups and organizations protecting the seas. Whale sharks thrive in the tropical oceans usually with water temperature not lower than 21 degrees C. They are known for being the largest fish in the sea with a size comparable to a bus. They thrive on plankton such as krill, fish eggs, and nekton such as squid and fish. Whale sharks are gentle creatures with some even swimming with humans. 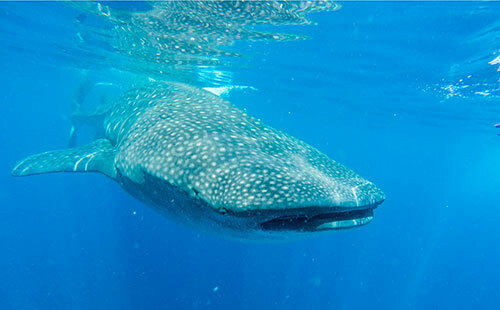 Locally called butanding, whale sharks are commonly found in Southern Leyte, Donsol in Sorsogon, Camarines Sur, and Batangas. 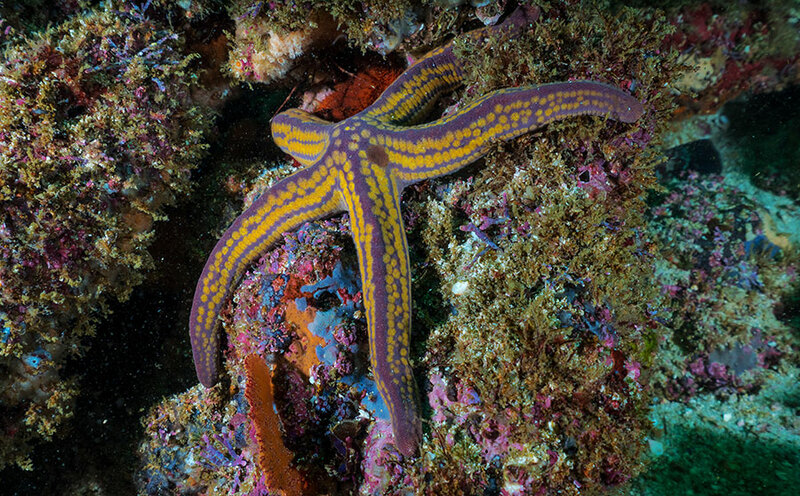 The stars of the sea are a common sight in several Philippine beaches. They vary in color – from various shades of red and orange to blue, grey, and brown. 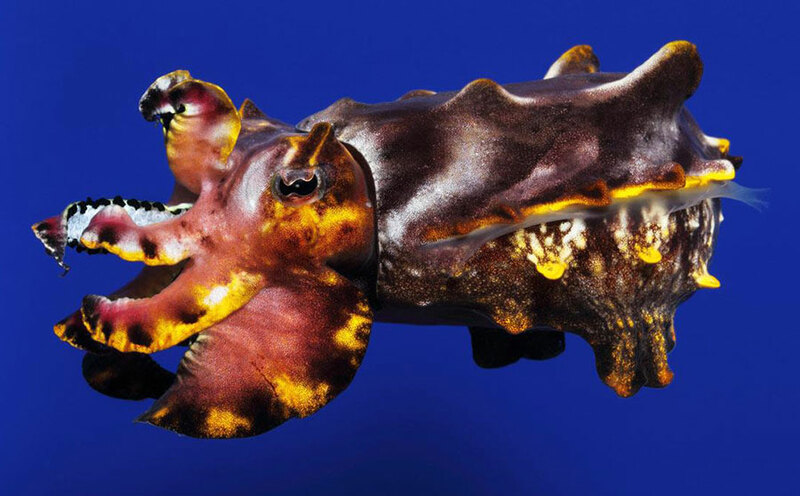 While they commonly have five arms, some species have more. They are mostly found on the seabed, be it tropical or polar waters. 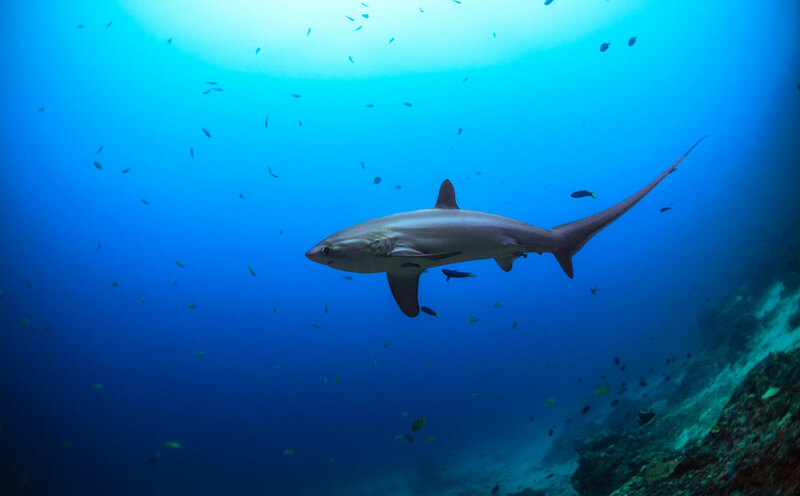 Pelagic thresher sharks are commonly found in the tropical and sub-tropical open oceans. Their typical size is 3 meters in length and 69.5 kg. in weight with a narrow head and body which is wide in the middle and tapered at the ends. 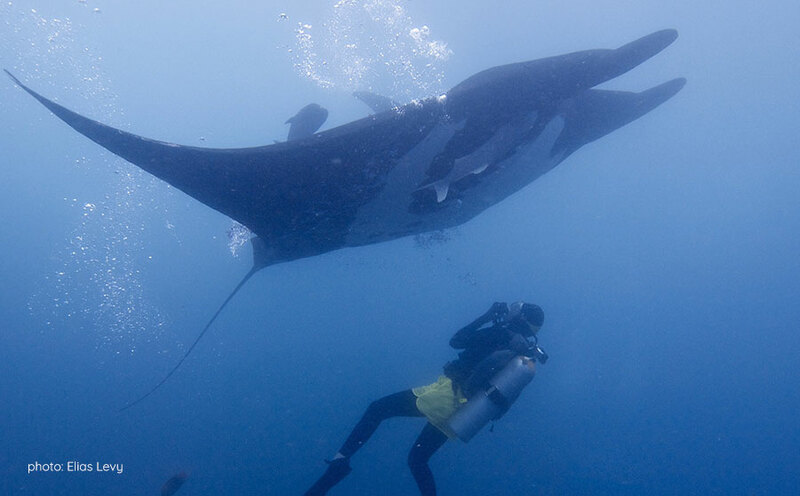 These strong swimmers have been seen in Malapascua Island. This species has soft skin which is covered with wart-like bulges, hence the name. Their body color varies and can change within a few weeks to match its habitat. 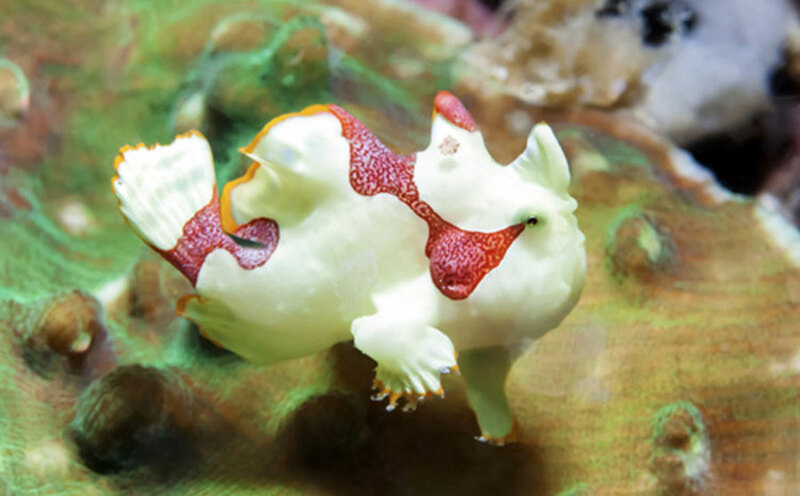 Also called clown frogfish, the warty frogfish’ known habitats are rocks and coral reefs. The Philippines has approximately 10,000 square miles of reef systems therefore placing the country rank 3 in overall coral reef area. It boasts of 421 species of coral and many areas in the country are considered protected coral reef areas. Apo Reef Natural Park is the largest reef in the country and second largest in the world. 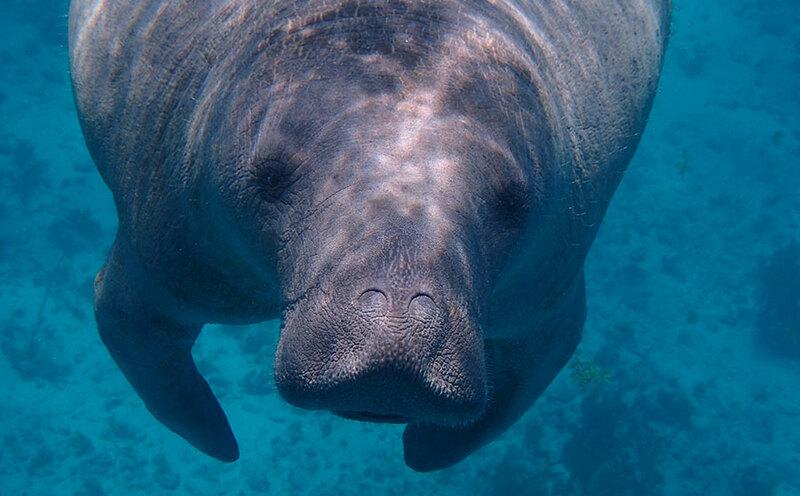 This aquatic mammal known for its clicks and whistles is one of the most well-loved and popular sea creatures due to their intelligence and highly social behaviors. They’ve been featured in films and often kept in captivity to perform tricks and interact with humans in theme parks. While dolphins are accessible to public due to various dolphin facilities around the world, nothing beats the excitement when seeing them at their natural habitat. 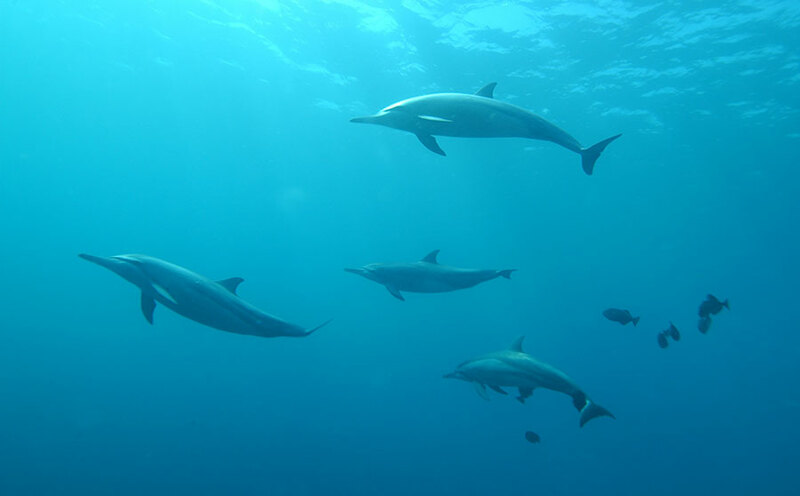 For dolphin encounters in the country, head to Bohol Sea, Tañon Strait (between Negros Oriental and Cebu), Babuyan Channel (Cagayan Province), Sarangani Bay, or Puerto Princesa Bay. 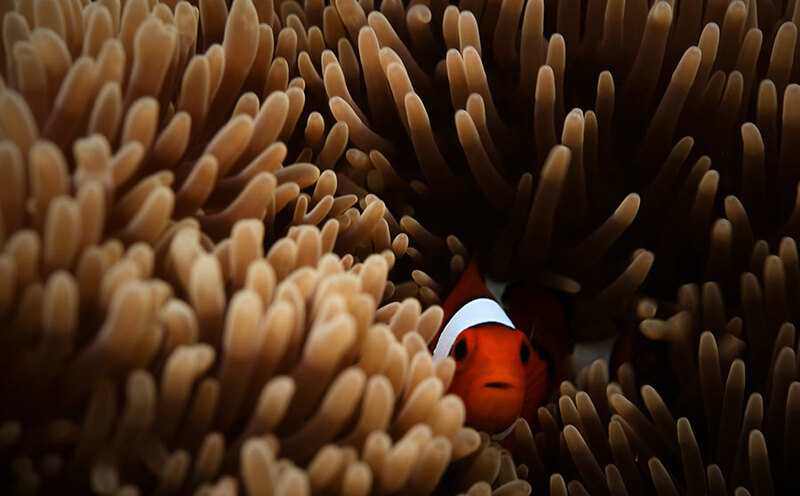 Meet Nemo and his gang in their natural habitat – in sheltered reefs in the shallow seas or in shallow lagoons. But the clownfish isn’t just orange – some are reddish and blackish with the largest measuring up to 16 cm. A trip to any islands in the Philippines isn’t complete without feasting on crabs. After all, they live in any sea in the world. 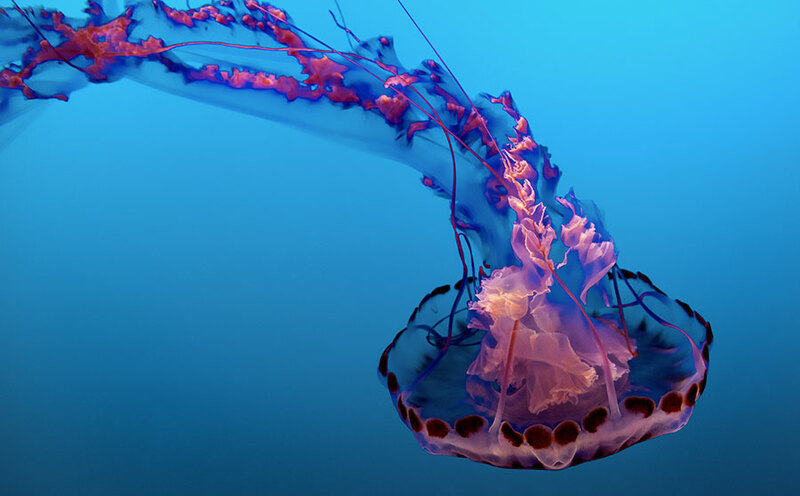 Just like crabs, jellyfish are found in any sea in the world – be it in the surface water or deep sea. As of the moment, there is no record as to how many species of jellyfish found in the Philippines but the most common are Aurelia and Mastigias. 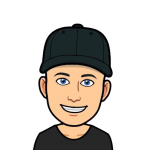 The potentially deadly box jellyfish can be found in the country as well so be cautious upon seeing a jellyfish when swimming especially in areas where the creek meets the sea. 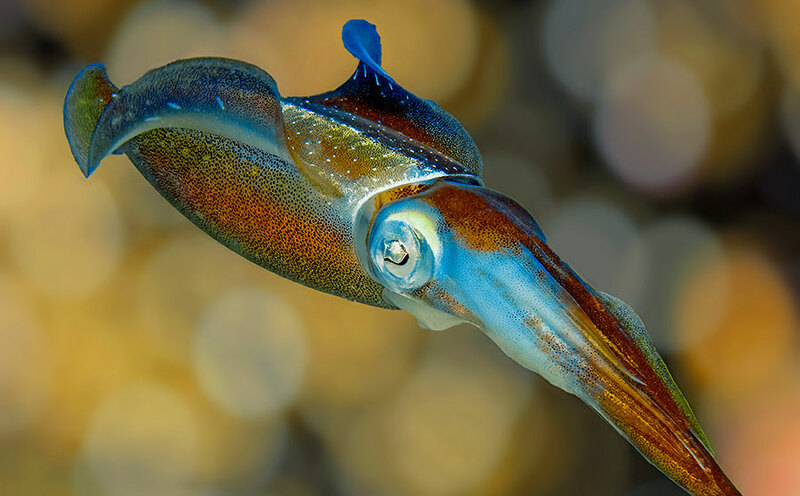 Squid is so common in the country you’ll surely find them for sale in most wet markets and even grocery stores. While giant squids prefer at the bottom of the ocean floor, young ones tend to appear at the surface. This spherical animal covered with spine is another marine creature you may want to be cautious about. They inhabit the seabed of all oceans in the world. They come in various species with some can even be eaten raw, and in the Philippines, with vinegar. 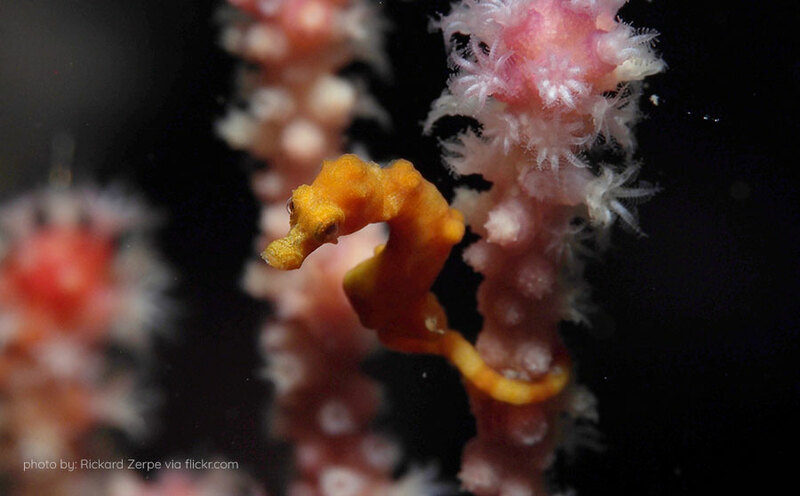 Out of 54 species of seahorse, 10 of which can be found in the Philippines, including the Pygmy seahorse. Seahorse inhabits the tropical waters particularly the shallow areas such as seagrass beds, coral reefs, and mangroves. Finding this particular species can be a bit of challenge since they are one of the smallest in the world with an average size of less than 2 cm. 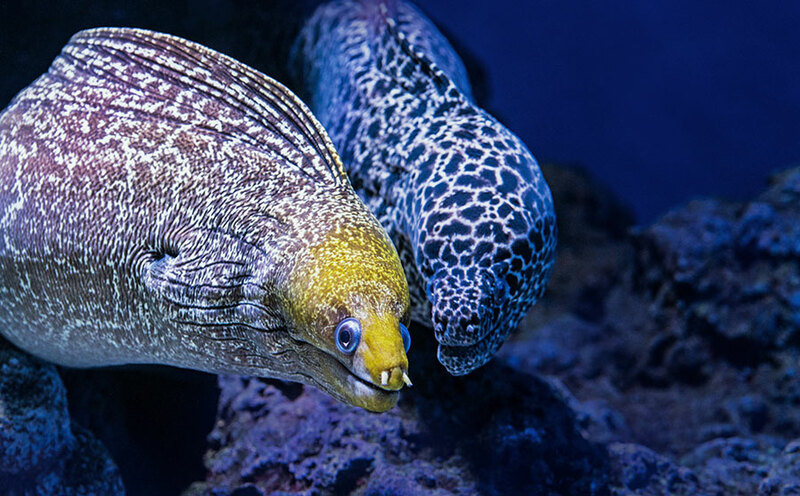 Anyone thinking to have an eel as pet may want to consider snowflake eel because they are the most friendly and suits life in an aquarium. However, the aquarium must be secured since they are good at escaping, passing through even small holes. Typical length is 20 inches but some can reach up to 39 inches. This small and stocky marine animal are found in almost all tropical seas in the world. 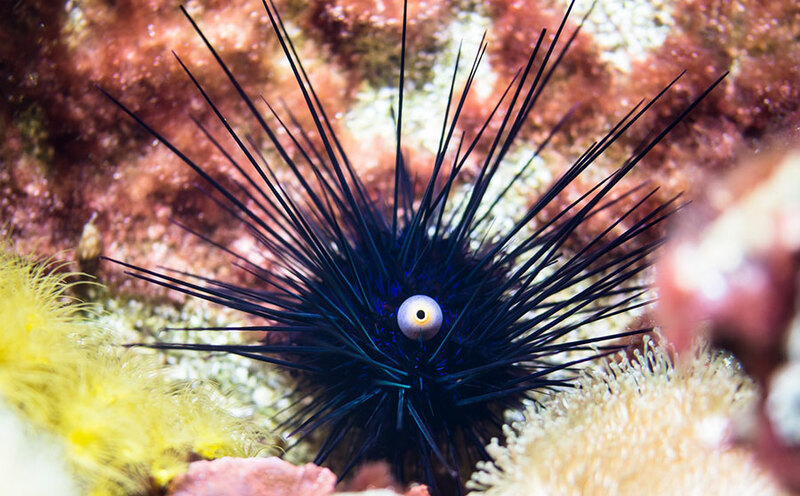 They are covered in small spines or thorns enabling them to camouflage to avoid predators as well as attract prey. They live at the bottom of the sea particularly around reefs. 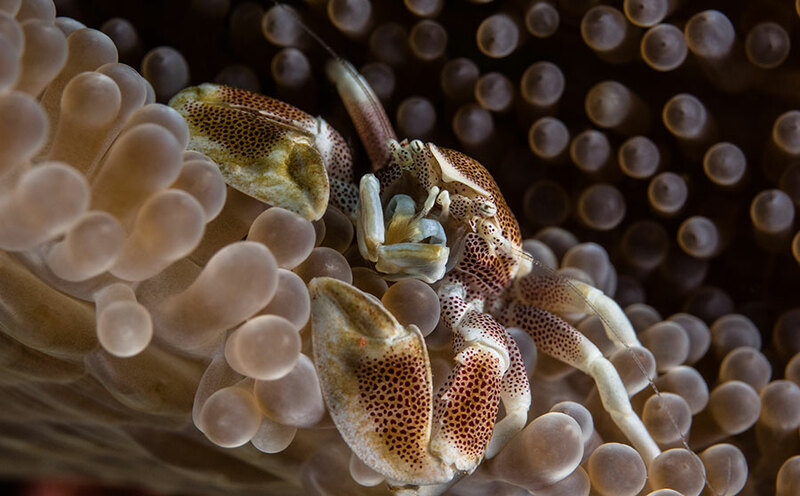 These crabs decorate themselves with pieces of sponge, algae, and other sedentary animals and plants to ward of predators as well as sneak up on its target. 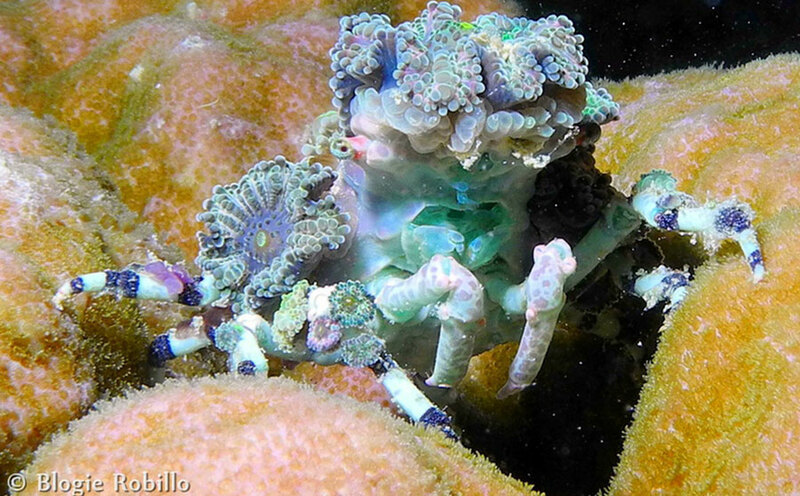 Decorator crabs come in various species with achaeus spinosus or spider crab being common in the Philippines, Indonesia, and Japan. This saltwater shrimp can grow up to 5 cm in length and only eats starfish, preferably the small and more sedentary ones, to survive. Typical color is cream or white with spots which could be red or purple. 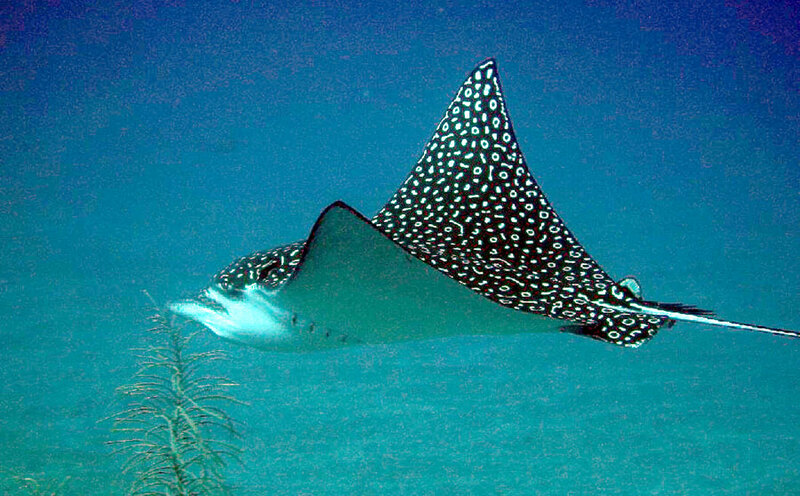 Eagle rays have long tails and long wings that can stretch up to 7 feet from tip to tip. In spotted eagle rays, each of them is different from the other in a sense that each has a unique pattern, just like human fingerprints. Humans should avoid them though as their sting can cause intense pain and bacterial infection. 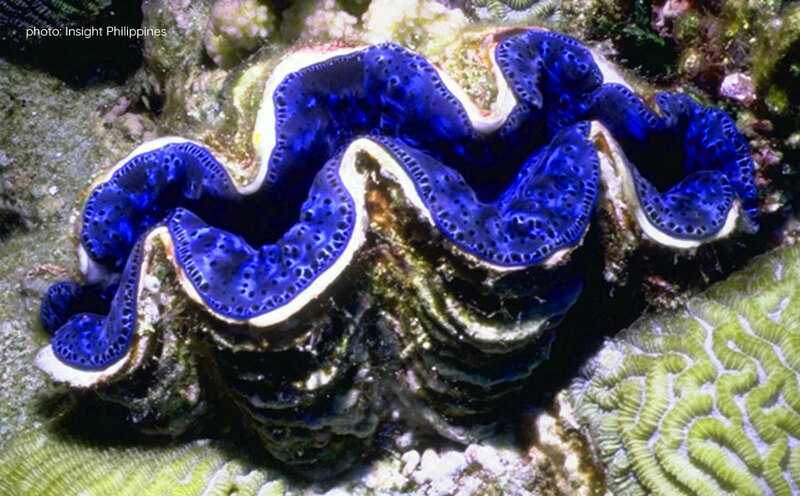 This marine animal can easily gain attention because of their extraordinary colors and forms. 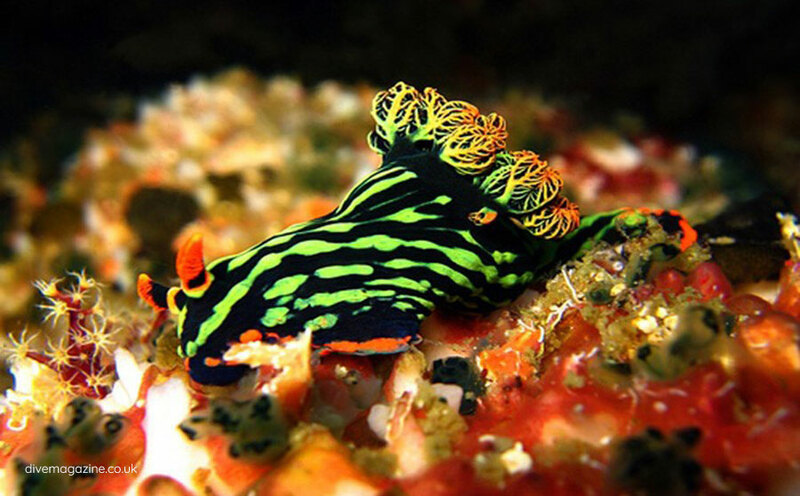 Nudibranchs are soft-bodied molluscs inhabiting the seas of various depths all over the world. Adult nudibranch can grow up to 23 inches long. 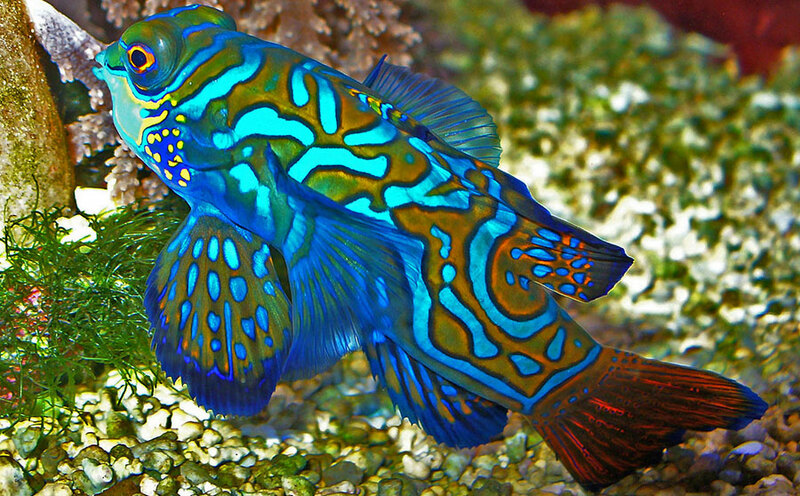 Mandarin fish is another brightly colored creature found in the warmer waters just like the Philippine seas. 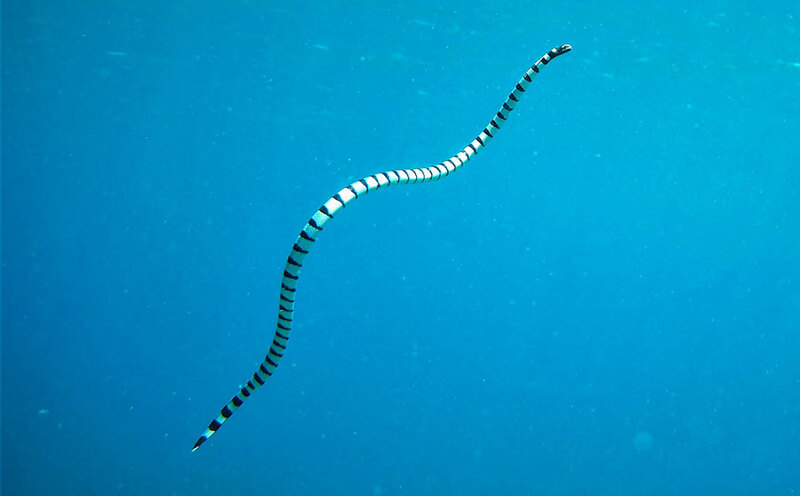 It is most noted for its bright blue color with swirly orange stripes although some species are red with black stripes. 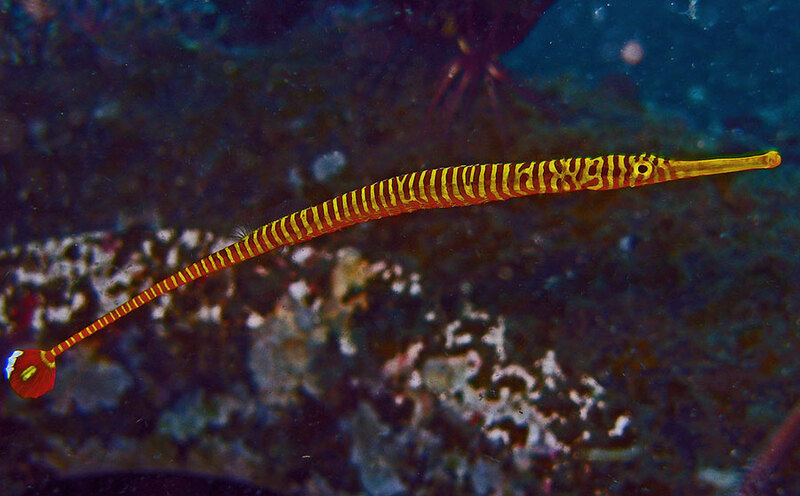 Their typical size is 6 cm only and they tend to inhabit reefs and lagoons. Also called ringed fish, this fish from the seahorse family has a long body which is typically cream-colored with rings from tip to tip. They are widespread throughout the tropical waters and tends to inhabit tide pools, lagoons, and reefs close to the ocean floor. What makes this species more interesting is that, the males are ones giving birth instead of the female. 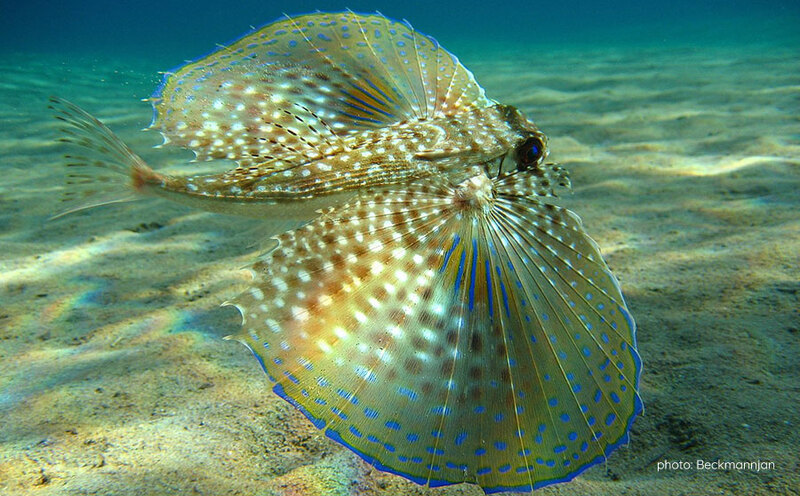 Flying gurnards have elongated body but may look wide when they stretch their large pectoral fins. They could be brownish or greenish with patches which is either reddish or yellowish. They feed on small fish, bivalves and crustaceans and can grow up to 20 inches in length. They tend to inhabit the bottom of tropical waters. Looks familiar? 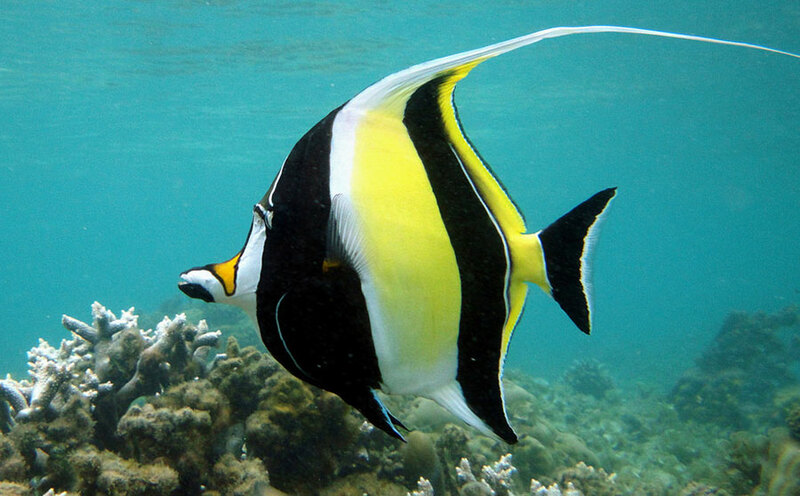 A moorish idol named Gill was one of Nemo’s tank-mates in the movie Finding Nemo. This species is notable for its black, white, and yellow bands which makes them a favorite aquarium pets however, they are kind of difficult to keep in the aquarium because they need large tanks, can become destructive, and their diet can be hard to replicate. Frequently seen in the Visayas, the species are notable for their maroon, dark brown, and red with a hint of white colors. They inhabit the shallow waters and can even be found walking along the seafloor. They can grow up to 3 inches and live for about a year only. They are not suitable for consumption, though, as they are highly toxic. 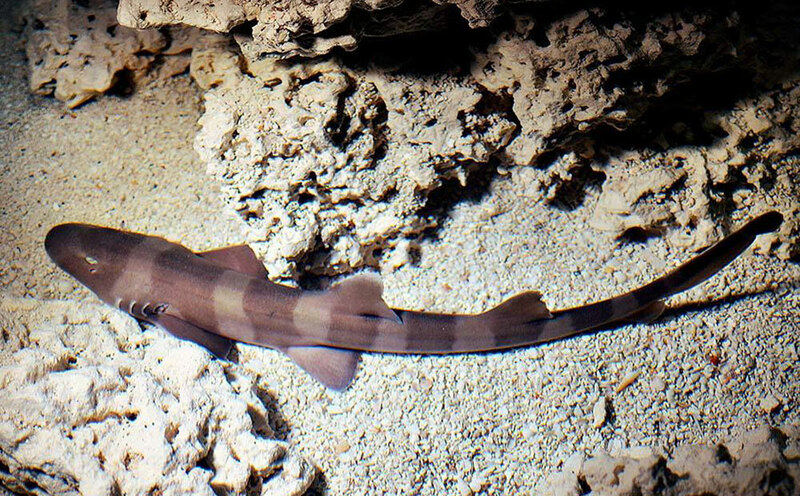 Bamboo sharks are small sharks that can grow up to 48 inches long. Their tails are long, longer than the rest of their body length. They inhabit the shallow waters particularly tidepools, coral beds, and around boulders. This largest type of ray in the world can grow as big as 7 meters across and a weight of about 3,000 kg. They may swim alone or travel in groups and sometimes with other fish species. Being a herbivorous marine mammal, dugongs feed on seagrass – from the leaves down to the roots. They are commonly found in shallow water with high concentration of seagrass, although they are rarely found in groups because there’s usually not enough food to support large population. Referred to as “lady of the sea”, dugongs are approximately 3 meters in length. Their number in the country has significantly decreased and is one of the marine animals with threatened population worldwide. Dugong is the first marine mammal placed under protection in the Philippines. 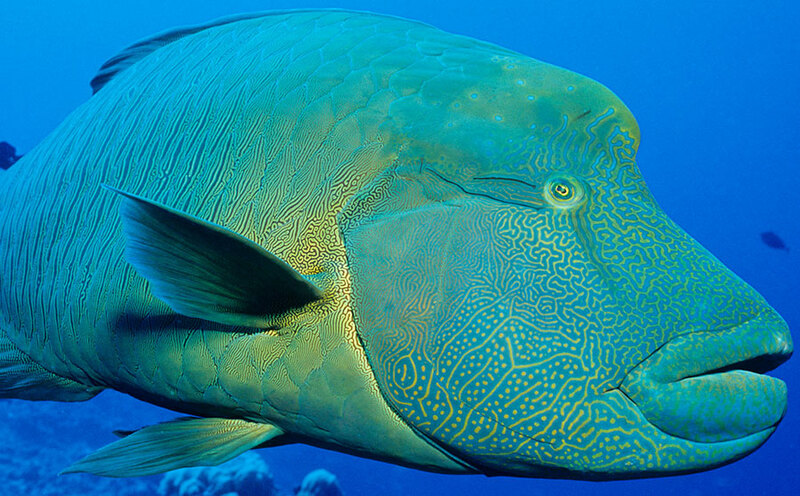 Also called humphead wrasse and locally called mameng, this marine animal is usually found on coral reefs. They typically measure approximately 1 meter from tip to tail but there are those that can grow up to 2 meters in length. They are notable for the hump on their foreheads, hence the other name. They are also noted for their thick lips and their color which vary from blue-green to green and purplish-blue. Their population is declining due to reasons such as illegal and overfishing, habitat loss, and poor management. They are listed as endangered species and are being conserved and protected. 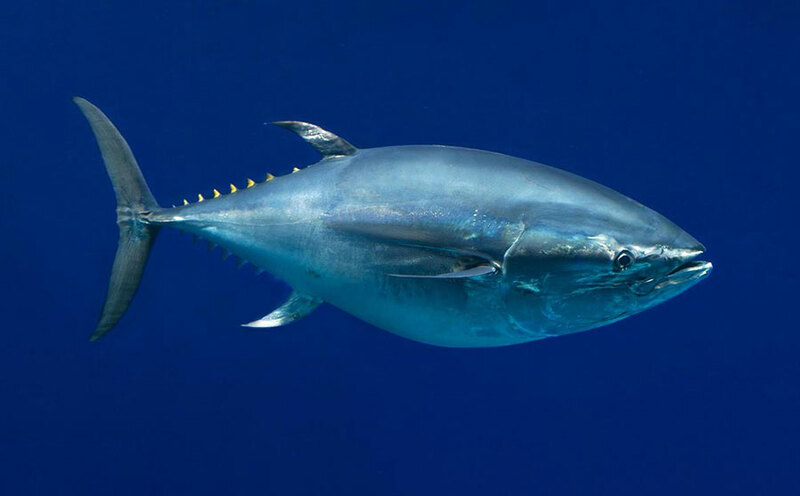 The bluefin tuna is considered as a luxury fish and is one of the world’s most expensive tuna. But because of their commercial value and high market demand, their population greatly declined and is now considered as a threatened species. Out of 7 sea turtles in the world, five of it can be found in the Philippines – the critically endangered hawksbill, the endangered green turtle, and olive ridley, loggerhead, and leatherback as vulnerable. Unlike its freshwater cousins, sea turtles cannot retract their head, legs, and arms into their shell for protection but this body structure makes swimming easy. And because they have lungs and breathe air, they need to surface for air at regular intervals. 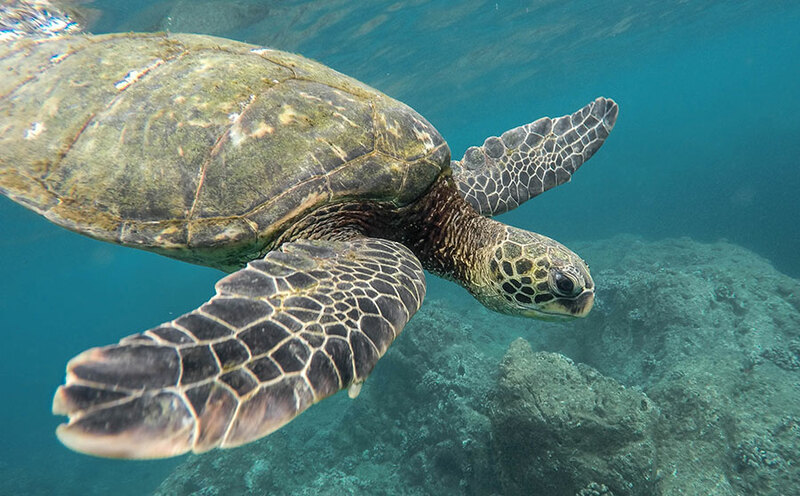 Places to visit for turtles sighting include Apo Island, Apo Reef, Helicopter Island (El Nido), Pescador Island (Cebu), Balicasag Island, and Mantigue Island (Camiguin). 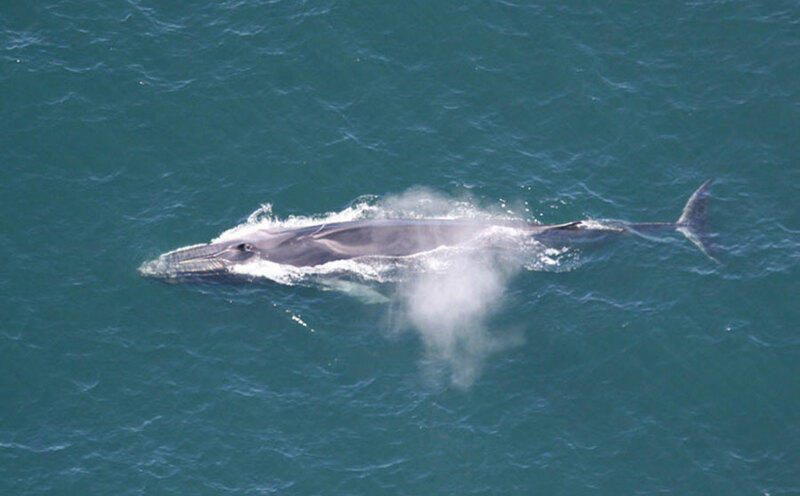 Fin whale is the second largest species in the world with the largest measuring up to 27 meters. They are fast and strong swimmers with the average speed between 37 km/h to 41 km/h. Though they can live close to 100 years, they have become endangered due to excessive whaling in the 19th and 20th century. 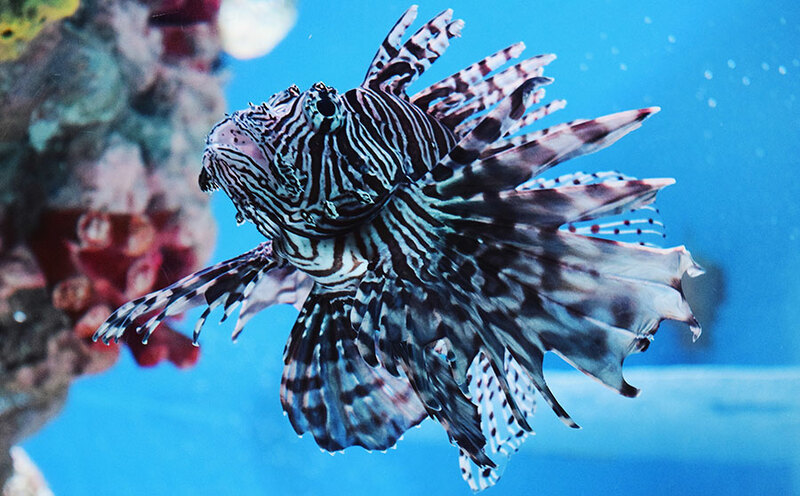 A popular aquarium fish, the lionfish is interesting to look at because of their colors, fins, and rays, humans should be wary when interacting with them because their fins contain venom which can cause extreme pain, vomiting, fever, difficulty in breathing, convulsions, heartburn, and diarrhea among others. 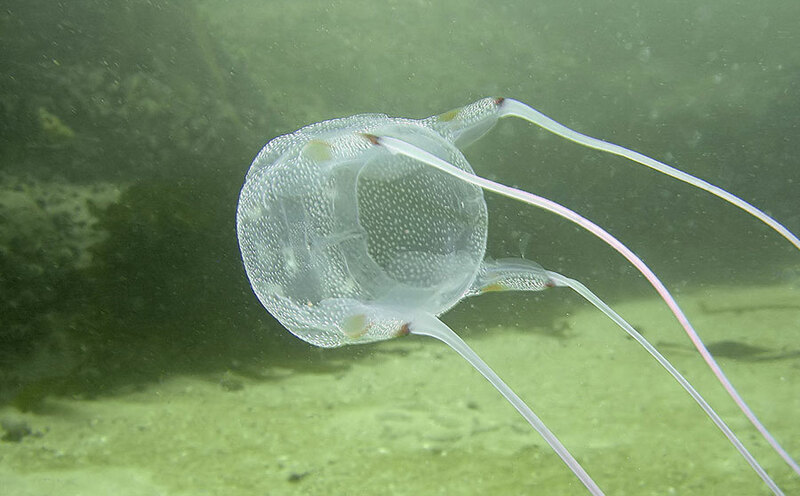 Heard about a local celebrity who almost lost her life to box jellyfish? Or that 7-year old Filipino-Italian who died after being stung by this highly dangerous marine life? There’s reason they are considered the “world’s most venomous creature”. The venom is so potent that it can cause within 2 to 5 minutes especially without immediate treatment. 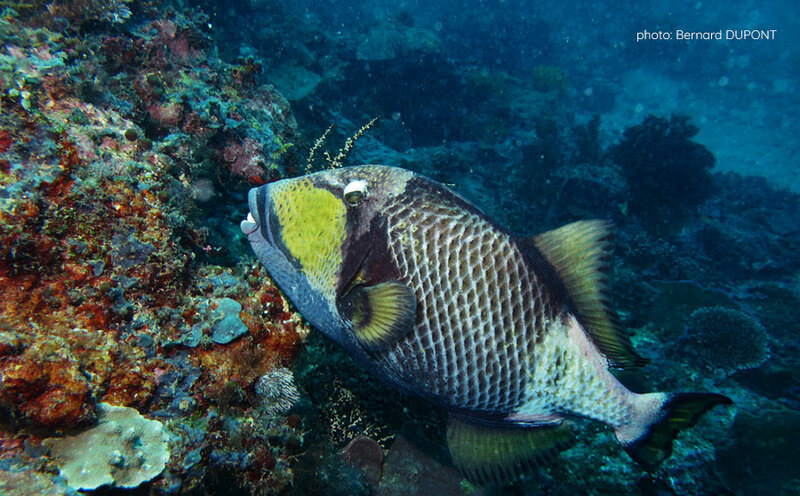 This species can grow up to 30 inches and is recognized as the largest species of triggerfish in its range hence also called giant triggerfish. Females may attack divers when the nest is threatened especially during reproduction season so care must be taken when around them. When you see this marine life with distinctive black stripes and yellow snout, you better be cautious and avoid doing something that could threaten them for their venom can cause your respiratory system to fail. 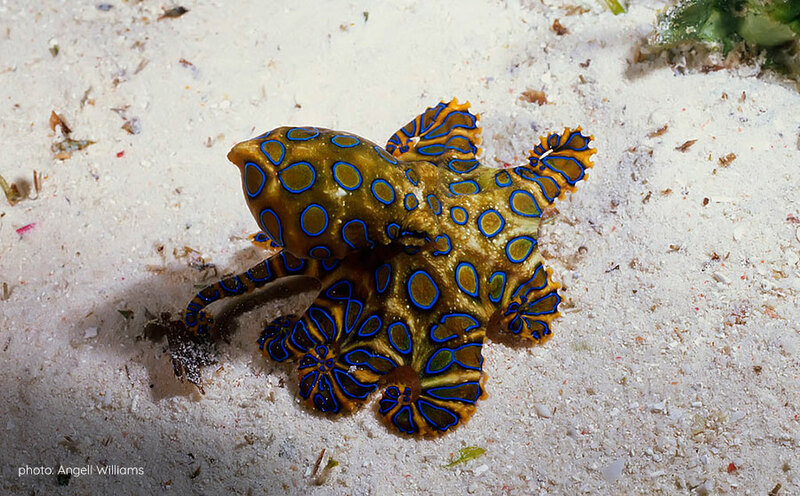 While they look interesting, you do not want to mess with them because the blue-ringed octopus is recognized as one of the world’s most venomous marine animals. They may be small at 12 to 20 cm. but their venom may cause paralysis, respiratory failure, coma, or even death if not treated immediately. 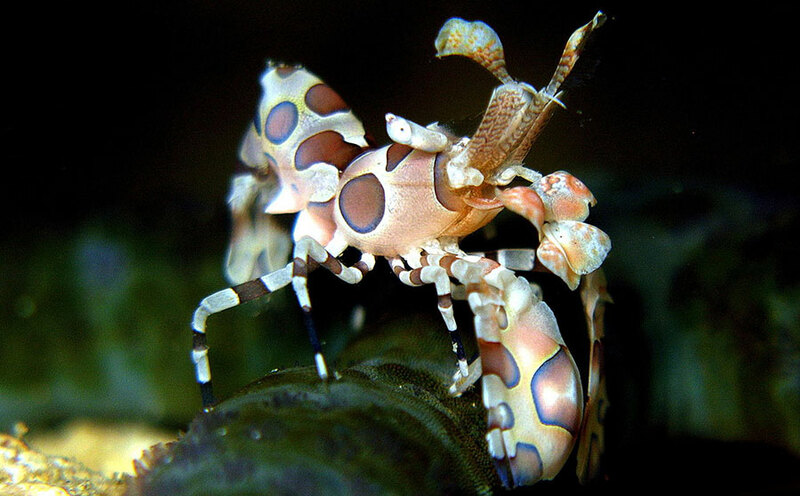 They feed on small crabs and shrimps, and inhabits tide pools and coral reefs. Verde Island Passage is a portion in Coral Triangle with the richest marine biodiversity. As such, researchers keep on exploring the area in the hopes of discovering something new. Their exploration not so long ago gave them the opportunity to reach unexplored areas – some with depths between 150 to 500 feet. This resulted to the discovery of 100 new marine life. The skeleton of a heart urchin was first discovered in 2014 but this expedition gave way to the discovery of a live heart urchin for the first time. 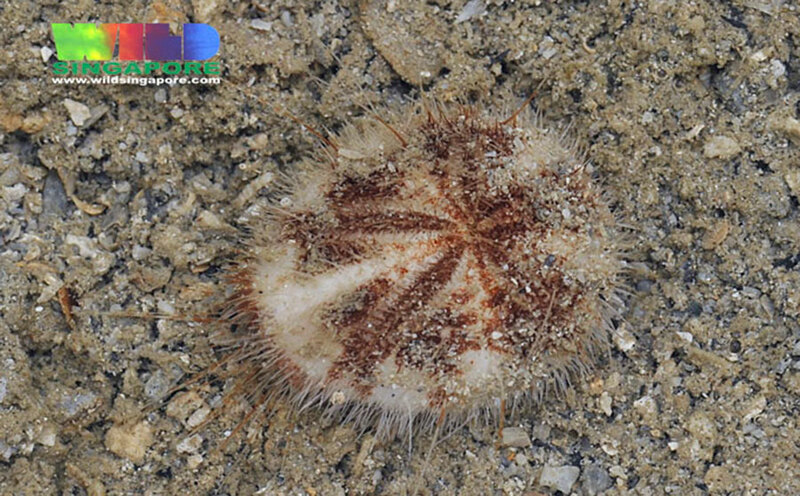 The heart urchin has marvelous pinkish-white spines as fine as the hair. 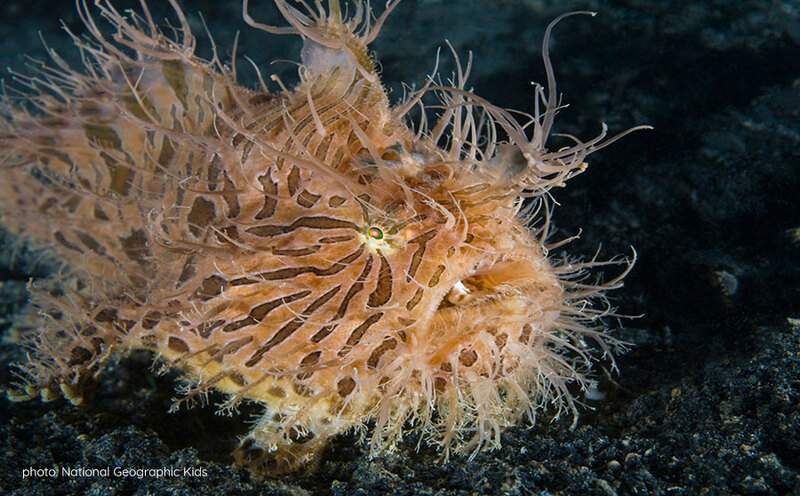 More than 40 varieties of nudibranchs were discovered during this expedition. One is a bright purple-colored one with orange margin and a white-colored one with bright yellow spots. 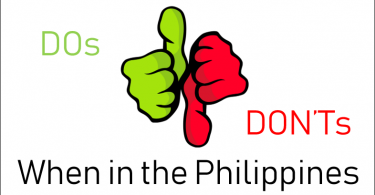 The Philippines doesn’t only have beautiful beaches with powdery white-sand and pristine waters. What lies in the depths of the seas are equally, if not more, interesting. The country has one of the richest marine biodiversity and home to various endangered species. Marine products are an important source of protein, too, and fishing is a main source of livelihood among several Filipinos. Sadly, the condition of our seas in general is deteriorating. Overfishing and destructive fishing (using dynamite, cyanide, etc.) are two major factors causing the decline. Poorly-managed tourism as well as climate change make matters worse. If not addressed properly and immediately, things will definitely not get any better and will only lead to the total destruction of the marine life. Presently, the government has laws and programs aiming to protect the country’s natural resources. Let’s just hope the laws are implemented strictly and everyone learns to cooperate. Below are some of the things you can do to help conserve and protect the sea. Many of our household stuff are made of plastic. Our foods are usually wrapped in plastic. While they may be useful at some point, plastic can be destructive especially if not disposed properly. Not only do they clog the waterways and cause floods, they can poison and choke animals to death too. Ditch your plastic bags in favor of reusable ones. If the use of plastic bag is really necessary, choose the biodegradable one. When shopping for groceries, bringing your own bag (and container for fish and meat) will lessen the use of plastic bags. Choose reusable stuff such as food and water containers, and utensils. Using reusable stuff may take more effort but it’s definitely worth it. Plus it can save you money in the long run. When dining out or buying fresh seafood, choose those that are sustainable and avoid buying overexploited species. Studies show that most sunscreen products contain chemicals that are toxic to the underwater inhabitants. Fortunately, there are now sunscreens that are marine-friendly. Several groups and organizations are working hard to protect and conserve the seas. Technology makes it easier for people to find and join these groups. Joining one of these groups isn’t enough though. Being involved in the projects and activities definitely makes more impact. Showing others what you do for the community isn’t necessarily bragging but can inspire others to do the same. This article by GreenPeace.Org can help us understand the current state of Philippine seas.